“My major objective this year will be to involve each club member in some avenue of service. For the Rotary Club of Guam to be a strong viable club, each member must have a real sense of usefulness within the context of Rotary’s service principles. The fortieth anniversary celebration activities scheduled for October provided a useful vehicle for achieving this objective. The club’s major service Project this year will be the creation and development of the Society for Cultural Exchange. Past President Al Pickens is chairing this project. The Society’s objectives is to foster the exchange of cultural events and activities between Guam and her Asian neighbors. 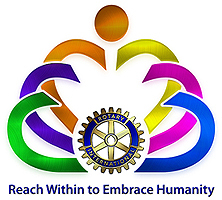 This project is rooted in the Rotary spirit of international fellowship and goodwill. It will also serve the community by filling a serious cultural void. Attention will also be focused on revitalizing the camaraderie between the three Guam Rotary clubs. 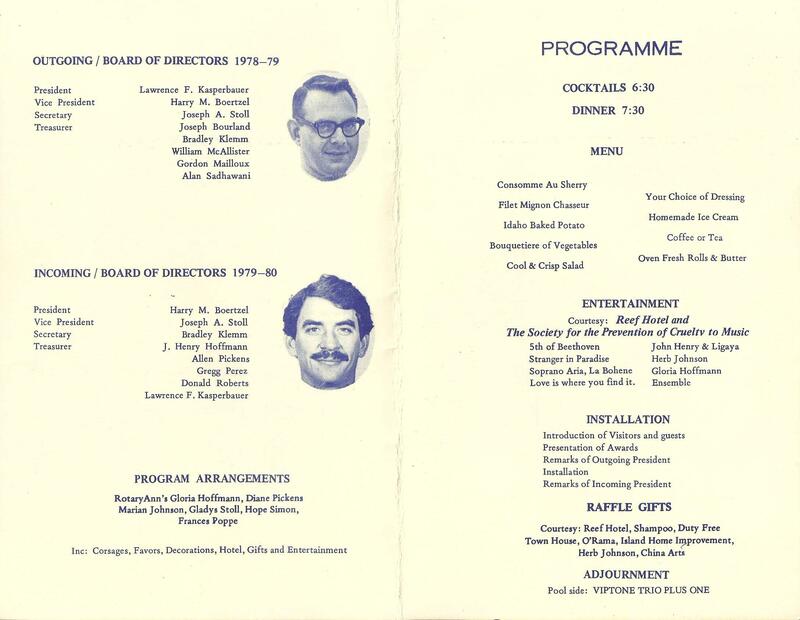 As you know, we began the year with a tri-club picnic on July 29, 1979, which was ably chaired year by Joe Bourland. A three joint events during the year can draw the three clubs together into a spirit of cooperation and good fellowship. 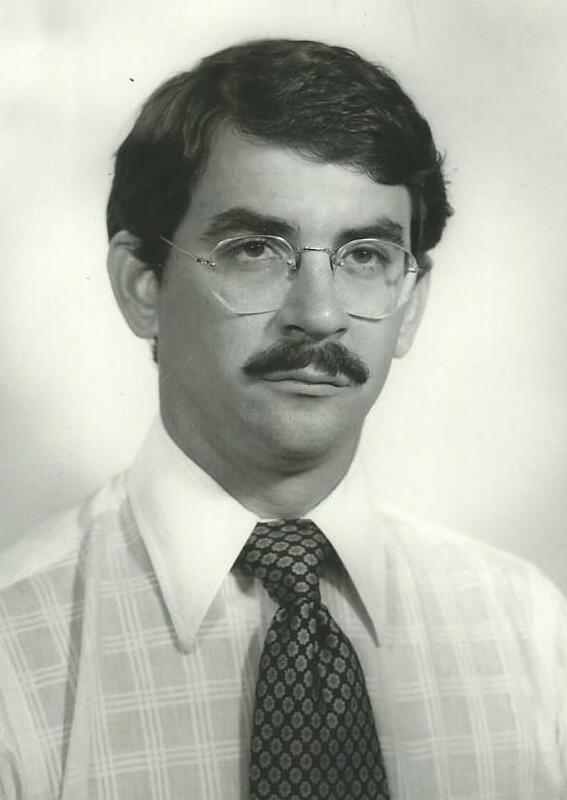 The Sister Club relationship has it’s beginning during the term (1969-1970) of President Jim Bloom. Largely thru the efforts of Karuizawa Rotarian Dave Hoshino, who was a frequent visitor to the Guam Club in those days, and Rotarian (now Past President) Jim Underwood were the two clubs able to develop and implement this worthwhile project. Initially, the two clubs exchanged visits, usually each led by the club president at that time. 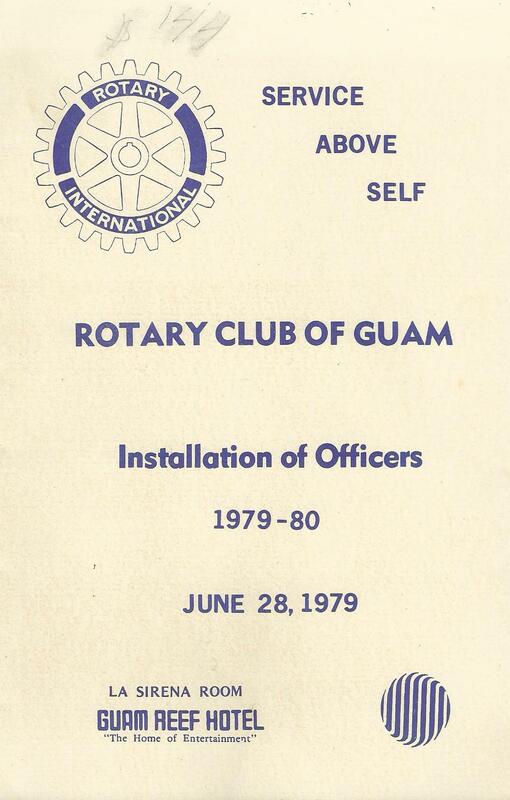 The Rotary Club of Guam sent the first contingent in June 1970. 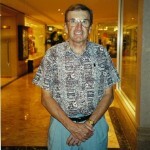 Led by President Jim Bloom, it consisted of five Rotarians plus members of their families. All visits to Karuizawa were generally in June, a time just preceding the peak tourist season, which permitted the Japanese Rotarians to maximize their hospitality efforts. It is a beautiful time of the year in Karuizawa, warm sunny days, cool evening, although some rain occasionally threatens, but altogether fitting for the promotion of international understanding and the development of personal friendships. Each year the Karuizawa Rotarians reciprocated with a visit to Guam in March. Again, Generally led by their President and frequently assisted by Rotarians Dave Hoshino, they came laden with present and anxious to test their gold skills after the winter’s layoff. In both cases the days are taken up with cultural and scenic visits and evenings with ceremony and conviviality. Except for an interruption in 1976 caused by Typhoon Pamela, the exchange visits have continued to this date. Beginning with 1972 a student exchange was implemented as an integral part of the Sister Club Program. In both Karuizawa and Guam the students are hosted by and live in the homes of Rotarians for periods ranging from one to two weeks. In March 1972 the Guam Rotarians hosted five students from Japan and we, in turn sent five students to Karuizawa in June of that year. During each visit the daily schedule are so designed as to provide the students with a balanced mix of cultural visits, scenic tours, recreational outings, and at the same time allow time with the host families to experience their life styles and learn their ways. Students from both communities are selected on the basis of their academic proficiency, civic and community responsibility, and be one who could most benefit by this experience. The Rotary Club of Guam has sponsored a total of fifty four students over an eight year period and we have hosted a like number from Japan. The Student Exchange Program is considered to be highly successful and probably one of the most meaningful projects the Rotary Club of Guam has undertaken. A chronological synopsis of the Sister Club visit and student exchange is indicative of the meaningful results of this program. Visiting Rotarians: Jim Underwood, Larry Houchin, Bud Theisen, Larry Kasperbauer, Richi Cehon, Walt Nelson, George Tamura. Visiting Students: Thomas I. Camacho, Franklin Perez, Nicholas Langas, Felix Babauta, Jesse Benevente. Visiting Rotarians: Gerry Perry, Herb Dumont, Bud Theisen, George Tamura, John Brandenberg, Jim Underwood, Richie Cehon. Visiting Students: Jose Manibusan, Virginia Santos, Kathrine Delfin, Frankie Leon Guerrero, D. Flores, Maria Vergara, Sally Quintanilla. Visiting Rotarians: George Tamura, Bud Theisen, Larry Houchin, Hugh Barton, Vic Olsen. Visiting Students: Arlene Guarnes, Sin Man Cheung, Arlene Salas, Vincente Manibusan, Benny Fergurgur, Rick Camacho, Lina Flores. Visiting Rotarians: Bud Theisen, Hugh Barton, Herb Dumont, Jim Underwood, Bill McAlister. Visiting Rotarians: Richie Cehon, Steve Conlon, George Tamura, Al Pickens, Jim Underwood. Visiting Students: Joseph J. Peredo, Anthony Cataluna, Jesusa Pangilinan, Maria Pangilinan, Julie Duenas, William T. Anderson, Christine Himeno, Jesse T. Quintanilla. 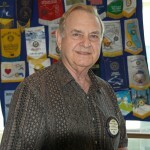 Visiting Rotarians: Jim Underwood, Bill McAlister. Visiting Students: Elizabeth Eclavera, Sermin E. Taisacon, Deanna M. Kelly, Kevin Kasperbauer, Brian Kasperbauer, Janis Roberts. Visiting Students: Josephine Kosaka, Judy Flores, Monica Camacho, James Sobriedo, Ralph Theisen, Mark Trail. Visiting Students: Noemi Diaz Cruz, Allena Hosei, Rosemarie T. Benavente, Francis S. Minor, David R. Sablan, Paul A. Blas, Diron Cruz, Manual Esteves Jr., Ravi Thadhani. The Karuizawa Sister Club activities for 1976 officially got underway on Sunday, March 14th, as five (5) official students in the Exchange Program and one (1) Karuizawa Rotarian’s daughter arrived at GIAT at 2:50 p.m., on PAA 803. On hand at the airport were the Rotarian hosts as listed in Appendix “A”. The students started out on a full two-weeks of planned activities as contained in Appendix “B”. Frank Taitano, Manager, Chamorrita Restaurant. Karuizawa Rotarian activities started on Tuesday, March 23rd, at 2:50 p.m., with the arrival of seven (7) Rotarians, three (3) Rotarians’ wives and three (3) children. Those arriving were: Mr. and Mrs. Junichi Kamiya, President: Mr. and Mrs. Kunio Matsuba, accompanied by son and daughter, Vice-President; Mr. and Mrs. Keitaro Maruyama; Mr. and Mrs. Minao Nakasato: Messrs. Shigeji Sato, Fukimaki, Jastuya Arai, Yoshiaki Tadokoro and Minoro Yoshida. Karuizawa Rotarians at their request stayed at the Guam Hotel Okura and, though the kind assistance of General Manager Enjoji, courtesies and services were extended to our visitors as shown on Appendix “C”. The Karuizawa Rotarians paid for their hotel accommodations. Activities for visiting Rotarians on the 24th Northern Tour, the 25th evening Joint Dinner meeting and the 27th Chamorro Fiesta were also joint student exchange activities. Other Rotarian activities are also contained in Appendix “D”. Special thanks to Guam Rotarian go out to George Bourland (AAFB tour and golf luncheon at his home), George Tamura, Theisen, Cy Simon, Yoshiaki Satoh for the golf tournament assistance; President Al Pickens for awards; and to the Rotarians in Appendix “E” for individually hosting a visiting Rotarian to either a Wednesday or Friday dinner. The Joint Dinner Meeting was held on Thursday, March 25th, and the informal Chamorro Fiesta was held on Saturday, March 27th, General information on these two activities are contained in Appendix “F”. Attendance at the Joint Dinner Meeting was one hundred nine (109). Preparations were made for 100 that were based on all of our Karuizawa guests and visitors and Rotarians from the Guam, Tumon Bay and Northern Rotary attending as anticipated by their sign-up as shown in Appendix “G”. 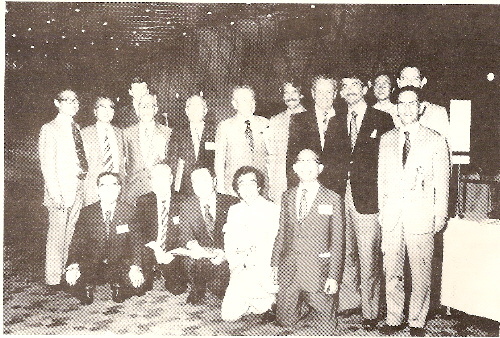 Club guests at this function included eighteen (18) Rotarians and students as previously mentioned and Mr. and Mrs. Yuase and son for a total of twenty-one (21) club guests. Mrs. Yuase is the daughter of Past President Tsutsumi of our Karuizawa of our Karuizawa Sister Club who was visiting Guam at the same time. The Dinner Meeting cost One Thousand One Hundred Ninety Nine Dollars ($1,1199.00) for 109 dinners prepared and served at $11.00 per person inclusive of gratuities. Chit No. 0001028 will be submitted for payment by the Club Treasurer. Appendix “G” is also submitted herewith for Club billing purposes. Chit No. 0002713 in the amount of $18.00 signed also by this Chairman will be forthcoming for payment for drinks for all of our Karuizawa guests at the Joint Dinner Meeting. Attendance at the Chamorro Fiesta was fifty (50) persons, inclusive of all Karuizawa guests (15 altogether). Submitted herewith for Club billing purposes is a list of Rotarians attending the Fiesta attached hereto to Appendix “H”. Attached hereto are sign-up sheets from which reservation of 75 people attending were projected and is attached as Appendix “I”. Because of reservation head count of 75 based on intentions of our Rotarians, a bill from Mr. Frank Taitano through Chamorro Food Restaurant may be forthcoming in the amount of $750.00. It is hoped that we will be billed for only actual attendance although as of the time of this report, it is uncertain whether the bill will be less than $750.00 (75 persons at $10.00 per person, inclusive of food and our drinks). It is anticipated that even if billed the full $750.00, the $250.00 non-revenue expense will be offset by billing for the Joint Dinner Meeting by Rotarians not in attendance at the compulsory dinner meeting. Appendix “J” contains and expense report of the entire Karuizawa Sister Club visitation in March, 1976, showing a total expenditure of $933.90 and this amount in $566.10 less than the total budget of $1,500.00 as approved by the Board of Directors.